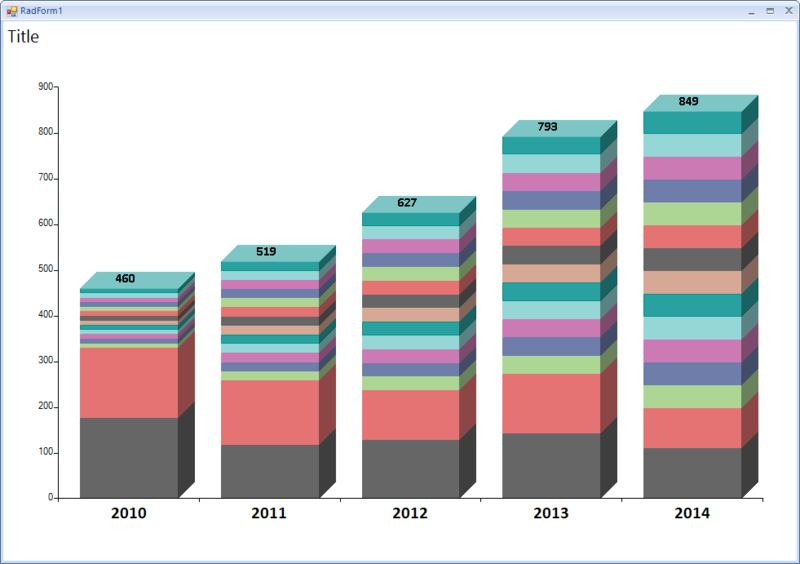 An example demonstrating how a stacked 3D bar chart can be implemented. A complete solution in C# and VB.NET is available in our SDK repository: https://github.com/telerik/winforms-sdk/tree/master/ChartView/3DBarChart. A custom Cartesian renderer will be responsible for creating special bar elements which will be painted with a 3D effect.